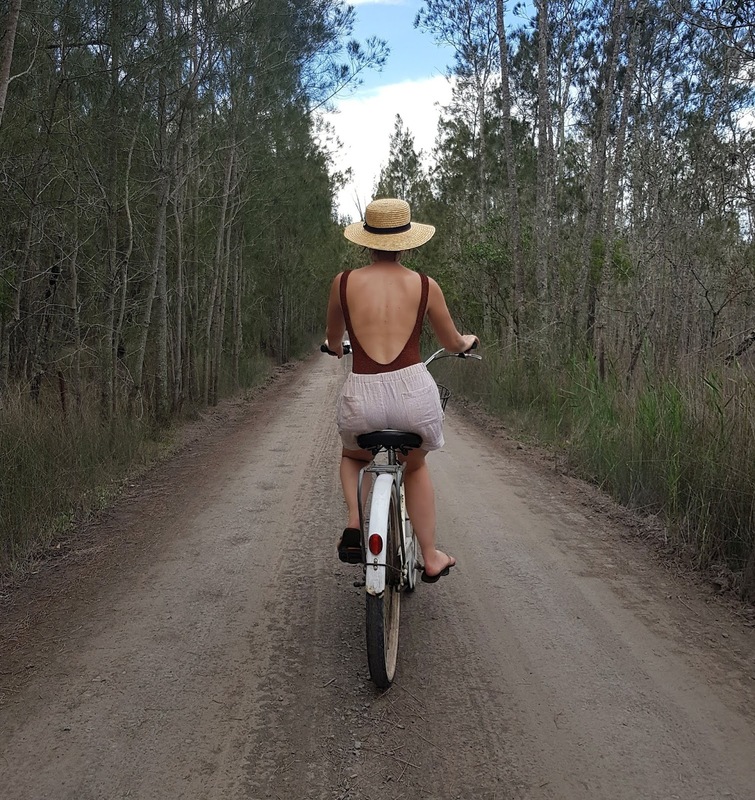 A couple of weeks ago we packed our bags, jumped in the car and headed south for a surprise trip I'd organised for my boyfriend's 30th. 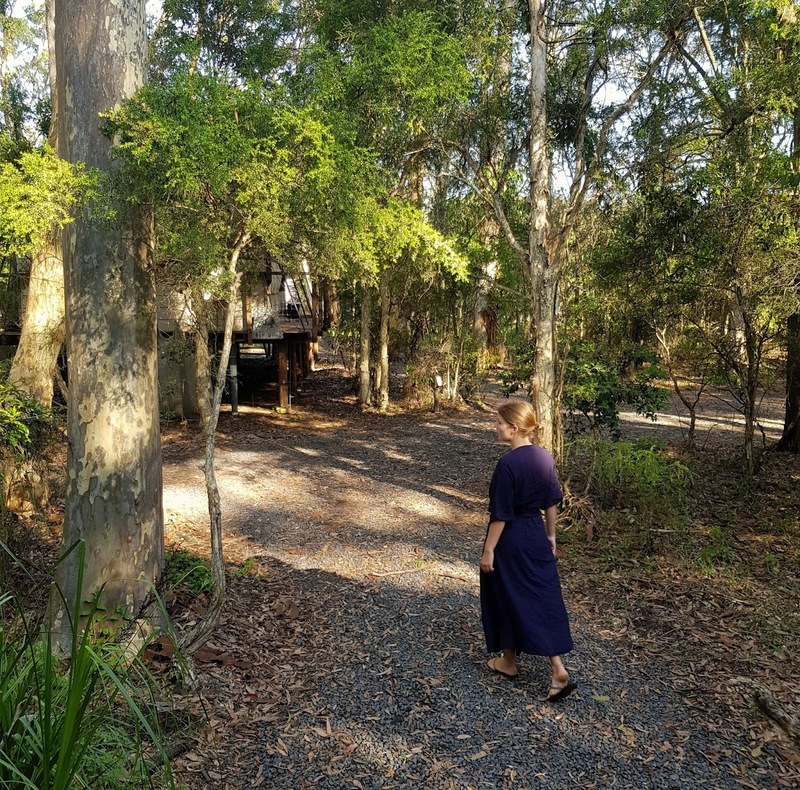 That trip was a few days in Jervis Bay - about a two and a half hour drive from Sydney - staying at Paperbark Camp (yup, I racked up some major girlfriend points). Through various articles and seeing it pop up on Instagram, I'd been aware of Paperbark Camp for a while and this seemed like the perfect excuse to treat myself as well as him (all in the name of equality), and let's just say it exceeded all expectations. We drove up to the camp, driving through the tree-lined entrance to the bush with an ill-timed comment from Adam: "Camp? Ha, we better not be staying in a tent" (cue nervous laughter from yours truly). We were staying in a tent, but this tent was far removed from the last one we'd stayed in - namely a sweaty, damp, bargain bin number at Glastonbury a few years ago. 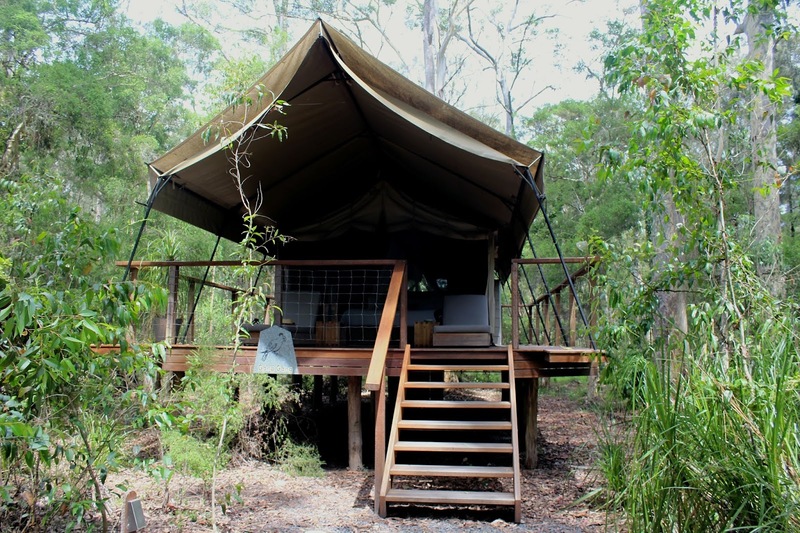 Paperbark Camp is a glampsite and as much as I hate the word, it's probably the best way to describe it. 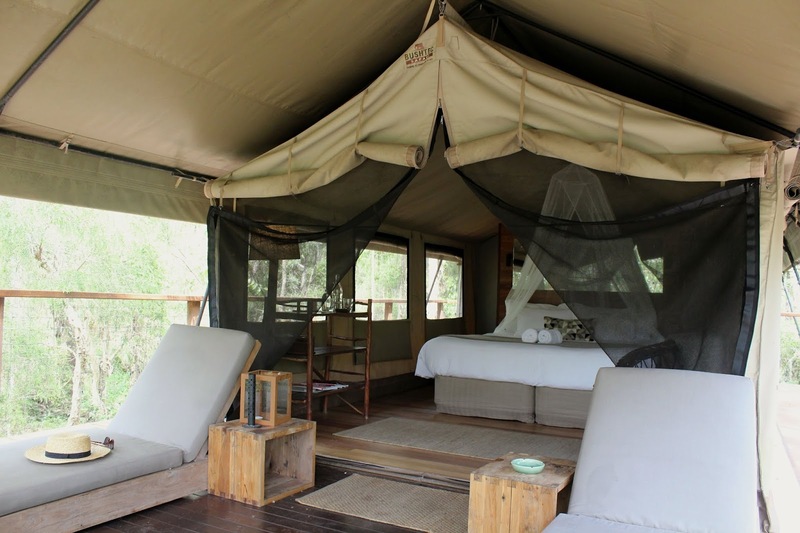 Safari tents are erected on large, elevated wooden decks and inside is a big double bed, bar cart and a couple of home comforts, with the back opening out into an open-air bathroom. 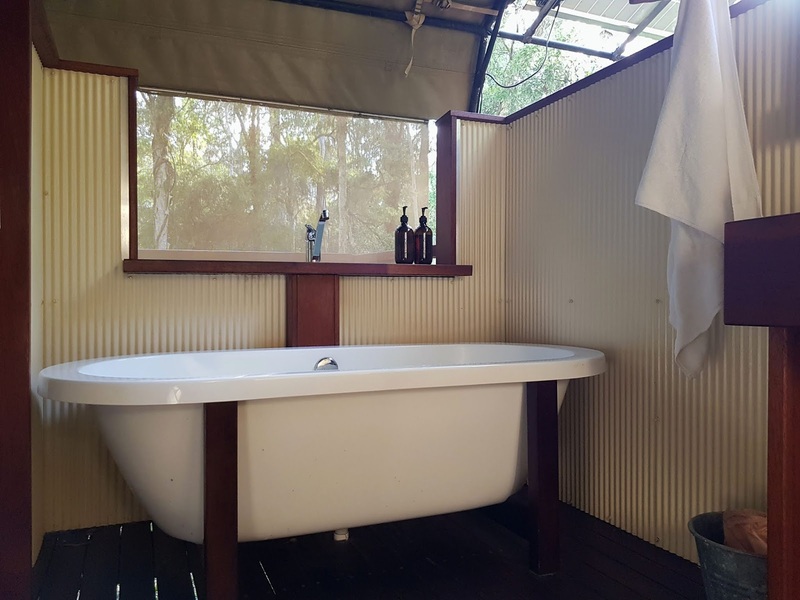 Each tent is set away from the other for privacy (very much needed when you're showering al fresco) and being in the bush, the only sounds you'll hear are the birds and possums running around. 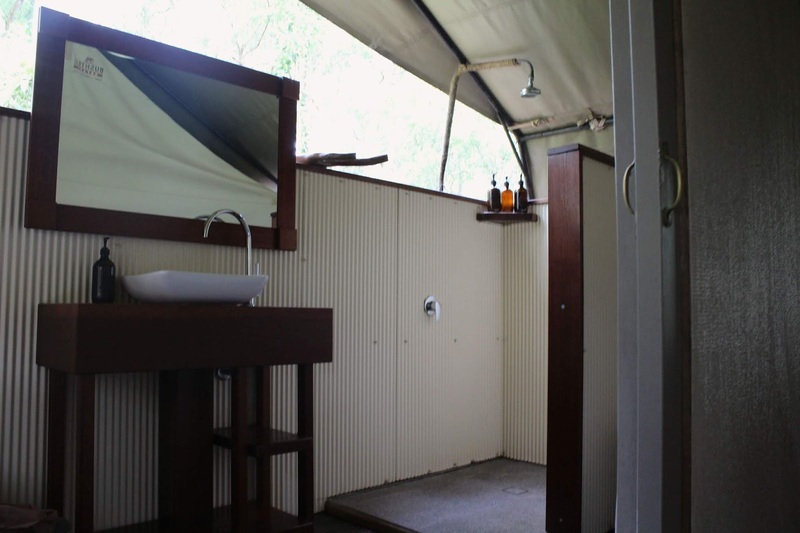 Paperbark has a restaurant on site, set in a treehouse in the middle of the camp. Each morning after some of the best nights' sleep we've had in a while, we'd be greeted with a flask of hot water sitting on our deck to make coffee, before ambling over to the restaurant for a long breakfast over the papers (and more coffee). We had dinner both nights that we stayed too and the food was incredible. It's a set menu and you don't know what you're getting until that night but unless you're a really fussy eater you won't be disappointed. The food is seasonal and locally-sourced, with fresh ingredients and interesting combinations of flavours, the wine list is extensive, and you finish off with the most delicious handmade truffles. 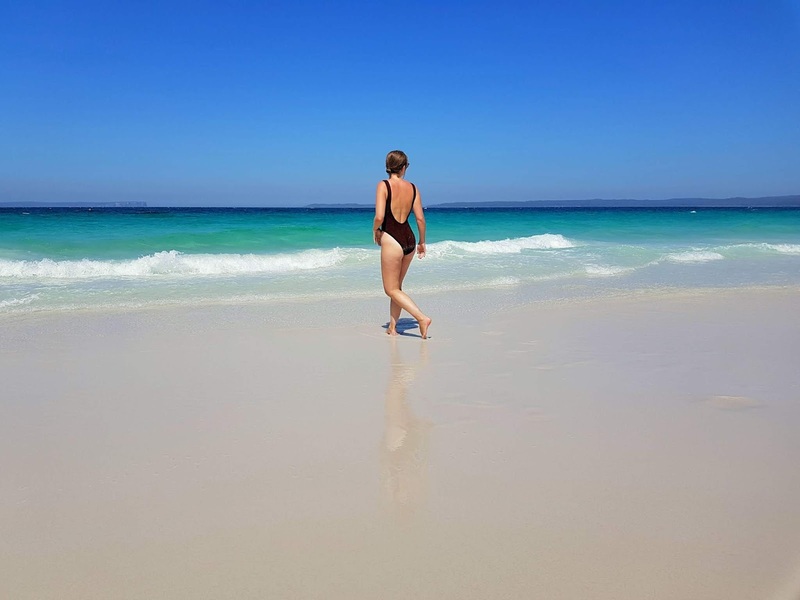 When we weren't eating, having long outdoor baths or catching up on some reading on the deck, we were exploring Jervis Bay and the many white sand beaches. Paperbark has bikes (and kayaks) you can take out for the day but to visit the infamous Hyams Beach (officially this beach has the whitest sand in the world, although we're not entirely convinced it's whiter than Whitehaven Beach in the Whitsundays) and the beaches in the national park, you'll be better off jumping in the car. Hyams is great - but popular. For more seclusion, buying entrance to the national park (about $13 which allows 48 hours access) is well worth it. 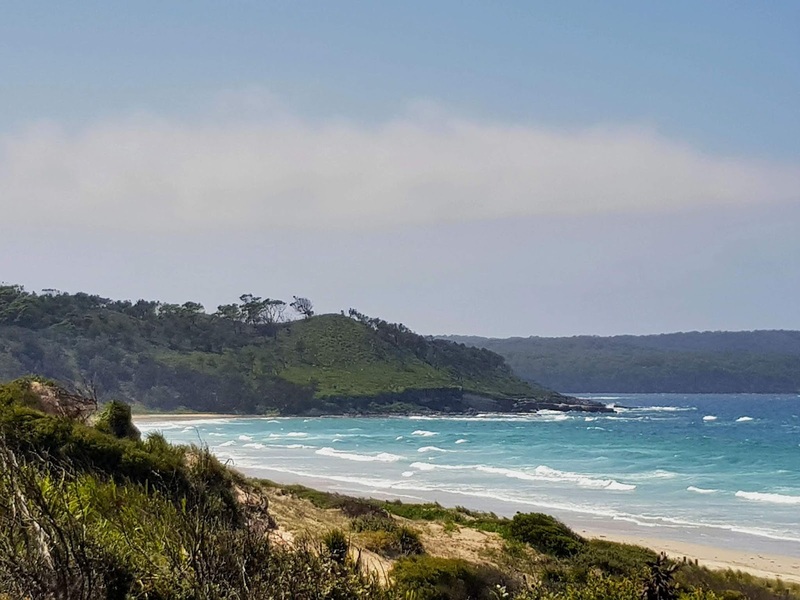 It sits right on the edge of the bay and is lined with countless beaches - from small spots like Murrays Beach (sheltered, calm waters, great for swimming) to large, rugged and wild like Cave Beach. 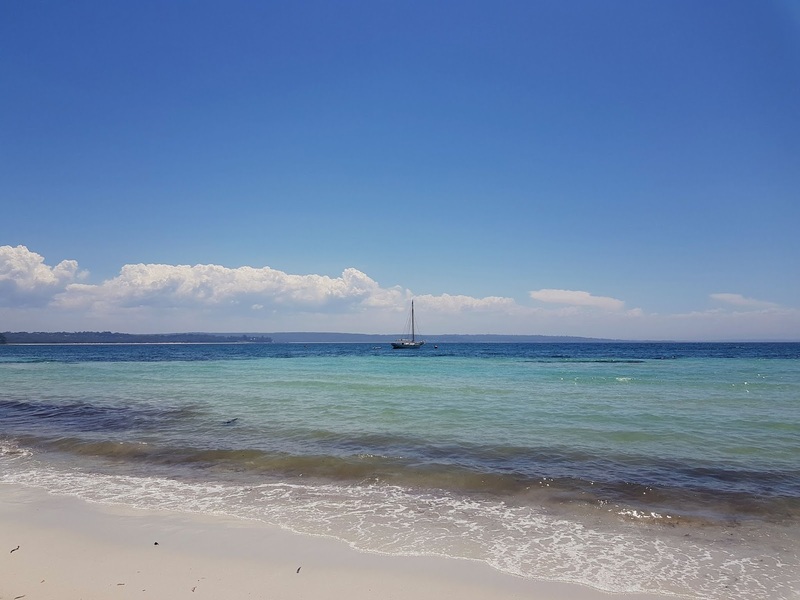 Take a picnic (although you probably won't need much after breakfast at Paperbark) and hop around the beaches - or find your favourite and do nothing but lie on the powdery soft white sand and cool off in the crystal clear sea. 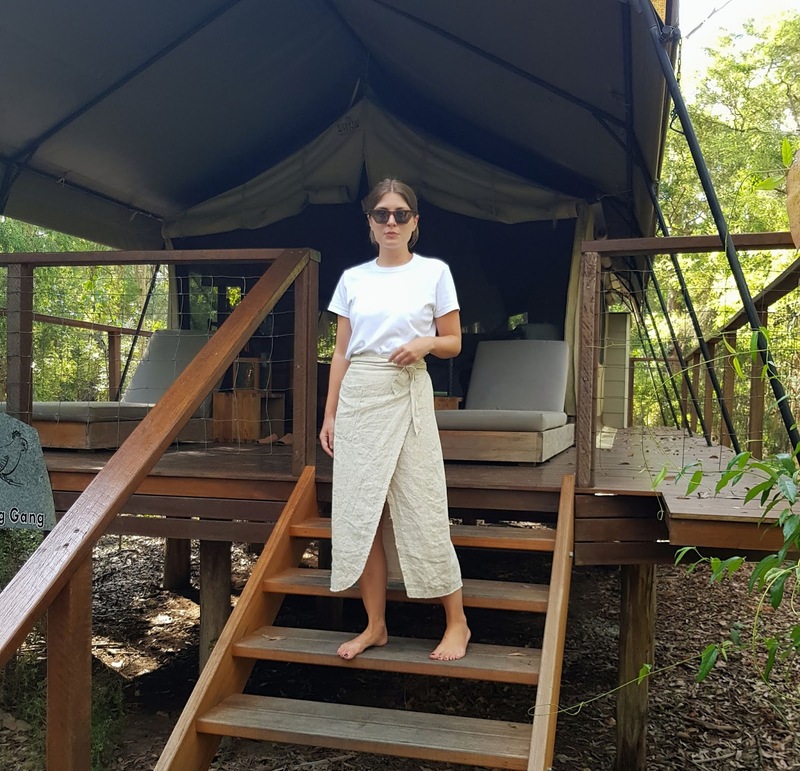 We left Paperbark in high spirits - completely rested, well fed, a little bit burnt (stock up on the factor 50, folks) and contemplating leaving the city for good for life in the bush. 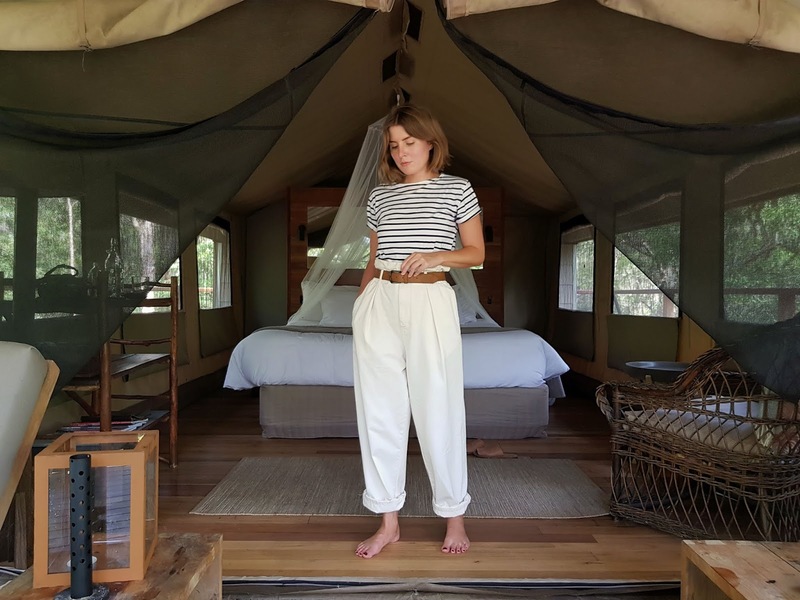 As tech-reliant millennials we won't of course, but we'll be back to Jervis Bay and Paperbark Camp for our fix.